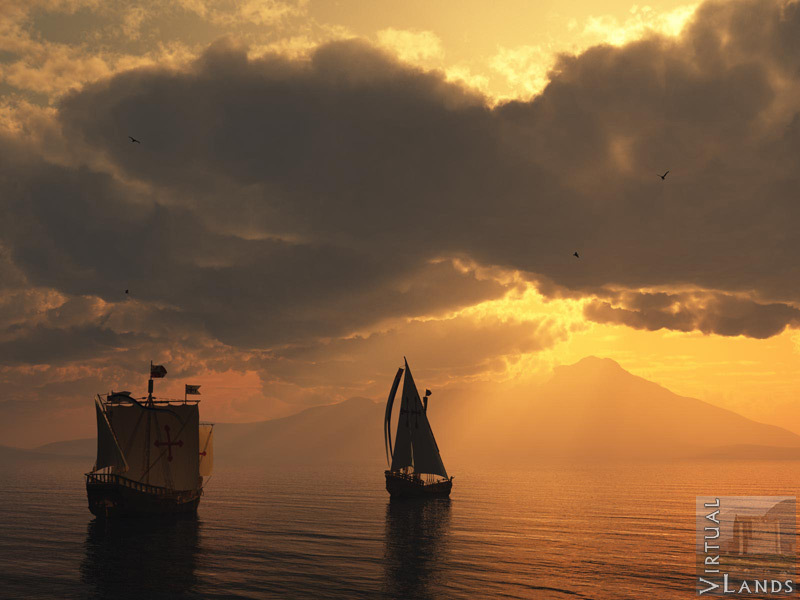 The Niña and Pinta arrive near the coast of an island in 1492. The scene was rendered in Vue 8 Infinite pre-release, with the new cloud highlighting made possible by the spectral 3 engine. Both ships are from the Deespona collection.